It’s no secret that fashion girls are drawn toward anything Attico right now and designers Giorgi Tordini and Gilda Ambrosio have created a cult look that’s sweeping the fashion scene. 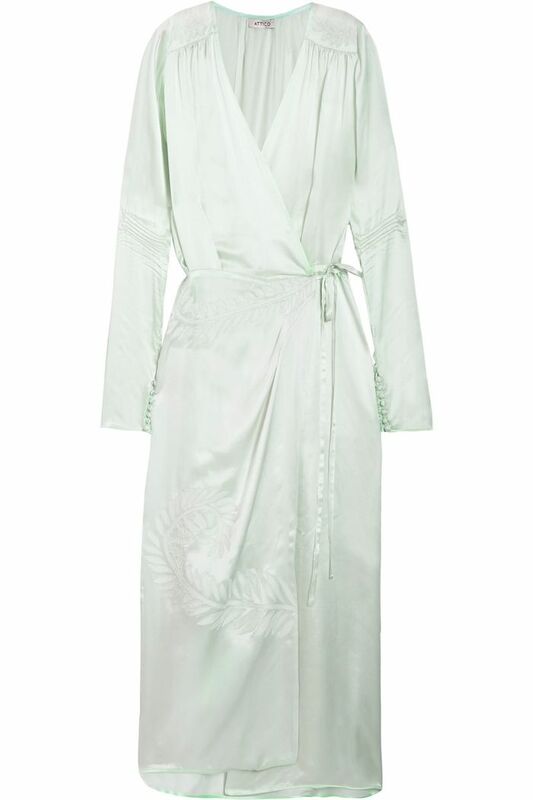 From the brand’s signature silk robes to statement shoe styles, pieces from Attico are always at the top of our shopping list. So since Net-a-Porter is currently having its summer sale (with discounts up to 70% off), we thought we’d comb through the site’s selection of Attico so you, too, can add the covetable designs to your wardrobe while they are on sale. We also shopped more of Net-a-Porter’s sale section to bring you the best designer pieces, so be sure to continue to shop our picks at the end. Happy summer sale shopping! Keep reading to score the coolest Attico designs plus more marked-down items on Net-a-Porter right now. Shop more Rosie Assoulin items. Shop more Equipment sale items. Shop more summer tops on sale. Shop more from The Row. Up next, shop the items on our summer wish lists.